AutoCAD 2D Training courses, Sydney, CBD, Ryde, North Sydney, etc. 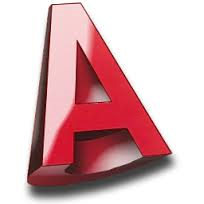 If you’re looking for really great AutoCAD 2D Training you’re in the right place. Companies large and small choose us – why? Your own tailored, AutoCAD 2D Training course, at your own premises at the same price as a standard course from elsewhere. AutoCAD is a computer-aided design package used for drafting. It includes features for creating designs that are both precise and accurate. If you attend our AutoCAD 2D training you will learn to create 2D draft drawings. You will add dimensions to your drawings. You will scale drawings and look at the print options. In this AutoCAD 2D training course, we look at the full range of 2D drafting functions of AutoCAD from basic to more advanced drawing features, adding annotations and dimensions, then scaling and printing. There are no pre-requisites for this course apart from general computer knowledge. This course is of one day or two days’ duration depending on your needs. This course outline is provisional and can be adapted to your needs.